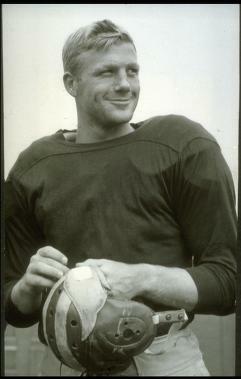 Besides quarterbacking Michigan's 1948 national champions, Pete became the only Michigan athlete to earn 12 letters - in football, basketball, and golf. He played on four championship teams, two in football, and one each in basketball and golf. He came to Michigan in 1945 as a Navy trainee, starring as a runner and passer. Shifted to quarterback, his blocking and defensive strength became invaluable. Later he served as head coach at Nebraska, California and Illinois, and later enjoyed success in the building business and as a sports commentator.